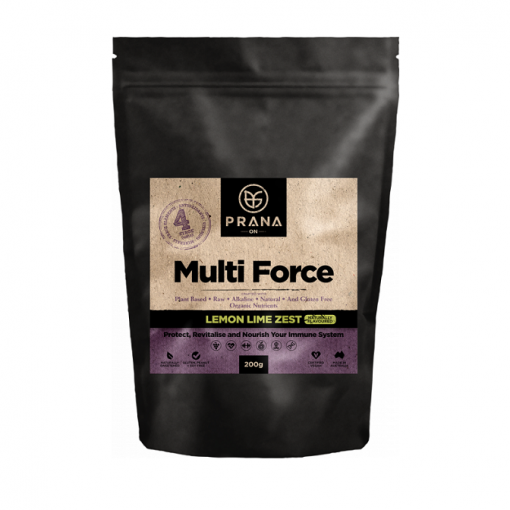 By using Botanical herbs, Potent Superfoods and nutritionally dense Raw, Organic and concentrated ingredients, Multi Force may assist your body’s immune defence, cognitive function and illness recovery. For those on calorie restricted programs, Multi Force can help with meeting nutritional deficiencies. With a mild, subtle flavour and easy to mix formula, its the perfect companion to staying active! Add one scoop (approx. 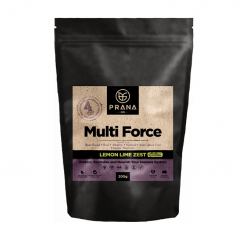 15 grams) of Multi Force to 500-600 ml of water and stir or shake well before drinking. Drink immediately after preparation. For the best results, drink one serve in the morning before breakfast.